← Why Is It Important to Cultivate Your Kids’ Creativity? It may be chilly outside, but that should not stop your little ones from burning some energy! 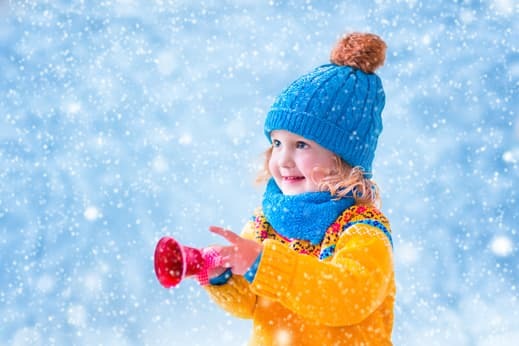 While the winter months can indeed bring about sickness and other undesirable effects, it is still important to let preschoolers in a children’s Montessori center in Anaheim, California play outside and run around despite the cold weather. The Centers for Disease Control and Prevention has opined that doing so helps your kids form a resistance to germs and other microbes, therefore, strengthening their immune system. In addition, playing outside in the cold can boost the vitamin D levels of students enrolled in a quality Montessori school in California. Although the sun isn’t as warm this season, even exposure to the outdoors for a mere half of an hour can boost their mental and emotional moods. Getting them outside also enables your young ones to see the world in a new lens. After becoming used to the warm, green climate, they get to view their environment from a different perspective which encourages them to imagine the world in various ways. This fosters their creativity, thinking skills, and observation skills as they learn more about the world, thus setting the stage for their early education. Aside from that, winter playtime provides kids in Anaheim Hills Montessori School with an opportunity to exercise and move their muscles in different ways. The increased physical activity supports their overall health and gross motor development, as well as gives them a chance to face new challenges, thereby stimulating their problem-solving skills. This entry was posted in Child's Wellness and tagged Child Learning, Early Education, Kindergarten, Montessori Method. Bookmark the permalink.